This entry was posted in Conducting, Recordings, Workers Union and tagged Birmingham Conservatoire, Joe Cutler, LSO St Luke's, Southampton MUsic Department, Turner Sims, Workers Union on November 18, 2013 by Ben. Performance at LSO St Luke's including new works by Danny Saleeb, Matthew Kaner and Joe Cutler. This concert will also feature four three minute works selected from the ensemble's 2013 'Call for Works'. One composer will be awarded the Heidi Cupp prize. This entry was posted in Conducting, Gigs, Workers Union and tagged Joe Cutler, LSO Soundhub, PRSF, workers union ensemble on November 9, 2013 by Ben. Performance at Birmingham Conservatoire including new works by Danny Saleeb, Matthew Kaner and Joe Cutler. 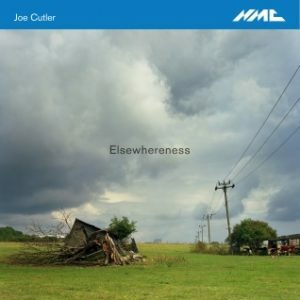 This entry was posted in Conducting, Gigs, Workers Union and tagged Joe Cutler, PRSF, Workers Union on October 29, 2013 by Ben. Performance at Turner Sims Concert Hall as part of the University of Southampton Music @ 1pm series including new works by Danny Saleeb, Matthew Kaner and Joe Cutler. This entry was posted in Conducting, Gigs, Workers Union and tagged Joe Cutler, Turner Sims, University of Southampton, workers union ensemble on October 28, 2013 by Ben.